Courtney Johnston is the Founder of The Rule Breaker’s Club where she teaches women how to package and sell their brilliance. Originally from Michigan she started her business in Paris and currently lives in Vancouver with her fiance Mohammed. She is pretty much the only person who can make writing sales pages fun. Her work has been featured on Inc.com, Fast Company, Creative Live and Huffington Post to name a few. We all know that overcoming those profit plateaus during the rising stages of your business is a tough battle to conquer. On this episode, you are in for a treat as Courtney takes us through each phase of her successful entrepreneurial journey, shares how she has overcome those profit plateaus and how you can too! Listen in to this episode of Jereshia Said! Courtney shares the most important requirement in order to master your craft, develop your own signature process and package your offer. 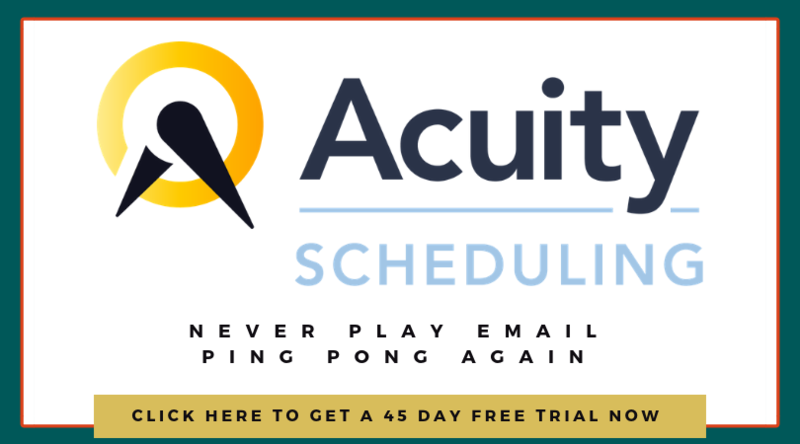 We are all ready to make more money and serve more people but if you are in an email ping-pong game with potential clients, struggling to schedule your next call, you need Acuity Scheduling. Acuity Scheduling is your online assistant, working 24/7 to manage your schedule. Click the link below and sign up to receive a 45 Day FREE TRIAL. Did you enjoy this episode? If so, Subscribe in iTunes and please leave a short review.